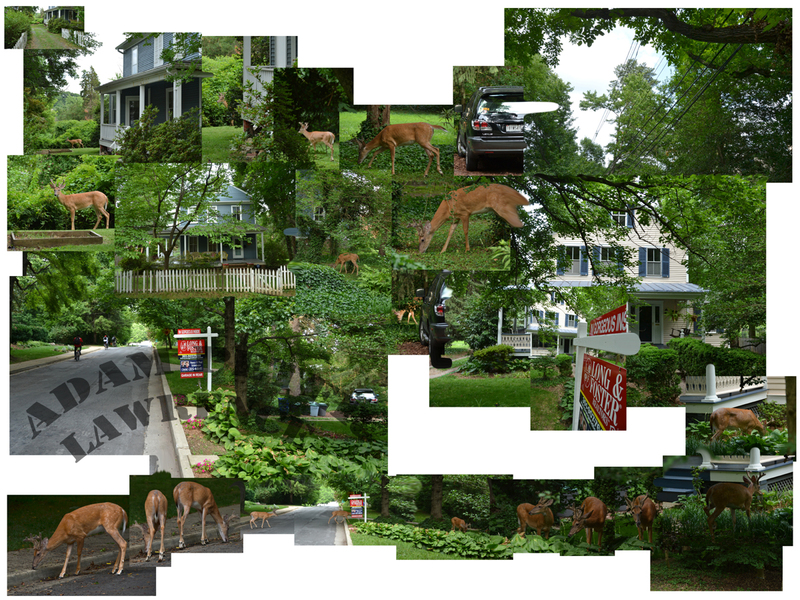 As I was riding down the street in a DC suburb, I saw this buck snacking on something in the street. He didn’t seem too bothered by my presence, so I pulled out my camera and started to shoot. He turned and went through into a the back yard of the first house, then emerged on the other side near the car before continuing on into the second back yard. I stitched his trip into an oval shape that rotates counterclockwise. The 3 boys on bikes (on the left edge of the frame) showed up as I was about to stop shooting, and they seemed to fit with the idea of youngsters exploring the world.